February 6, 2019 1:15 pm. 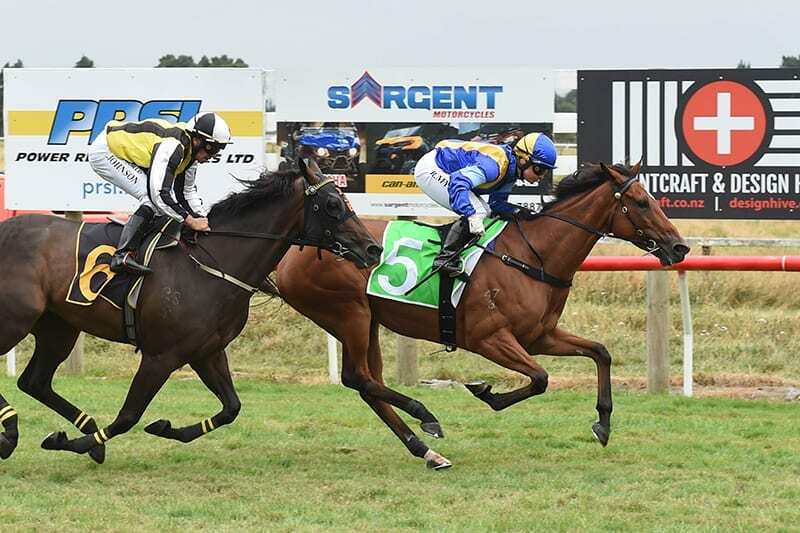 Cambridge visitor Artiste added another tick in her career win column when she capitalised on a perfect run in transit to take out the WCM Legal Wairarapa Cup (2050m) at Tauherenikau. The Murray Baker and Andrew Forsman-trained mare has been in sparkling form of late with two wins and a further two placings from her last four starts. That consistency saw her installed as a warm favourite for the contest, with her many supporters never having cause for concern courtesy of a picture-perfect ride from pilot Rosie Myers. Myers had the Mastercraftsman five-year-old idling along nicely in mid-field behind a solid speed set by Awatane before easing into contention with 600m to run. Myers tracked her main rival Peso into contention and when she angled off his back at the400m mark, Artiste produced a telling sprint that carried her clear of her rivals and on to a comfortable victory. “She got the perfect run with the early speed on and then she was able to track up behind Peso, who we thought was the main danger,” Forsman said.